Home / NEWS / How much does the F1 race cost? 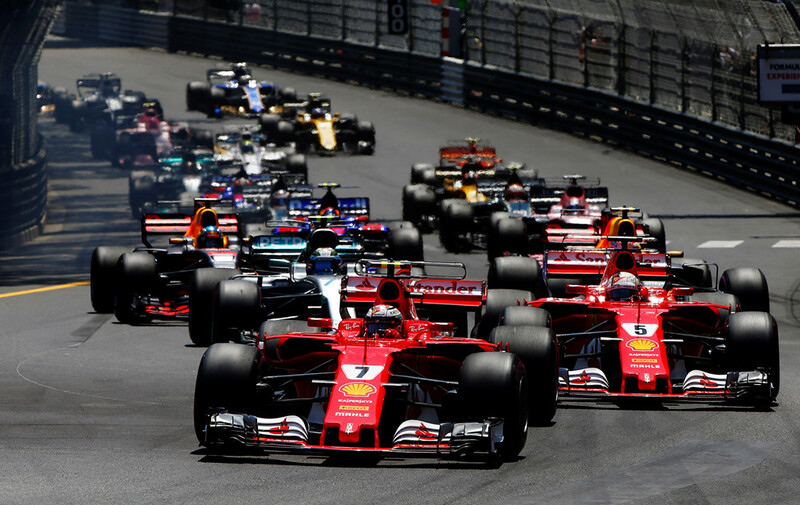 The cost of organizing an F1 race costs about $ 1 billion during the 10 years of hosting, in exchange for the opportunity to promote the national image. Formula One Grand Prix (F1) is one of the good opportunities to promote the national image. In 2016, 425 million people watched the race through television, according to figures from F1. This is like the World Cup of the world racing. F1 had previously been played in a separate racecourse. After this, to save costs, many countries have held on the streets, such as Singapore and Monaco. It sounds simple, but the cost of organizing such a race is not small. There are no cheap F1 races, but racing on public roads is the fastest approach. Nations that choose street racing often choose the central cities or suburbs of the town. Choosing public roads for F1 has a lower initial cost advantage than building a race track, while the efficiency is higher when city landmarks reach hundreds of millions of viewers. live image. But the downside is that the annual cost of a public road race is much more expensive than a race track. The cost is not just the amount of money raised on the temporary stands and upgrades to the quality of the road surface in accordance with the highest safety standards of F1 is regulated by the International Automobile Federation. The money to hold an F1 race has never been open. However, Formula Money has revealed that it takes $ 16 million to pay for human resources and marketing expenses. One race requires 600 personnel to operate, not to mention 120 firefighters and 550 volunteers. The next cost is to build the grandstand for 80,000 direct viewers at about $ 14 million. To ensure a 3.2 mile (5.15 km) track, fencing and barriers cost $ 8 million, while another $ 8 million is for hiring nearby buildings to do pit stops. repair). Cars, offices and related utilities cost about $ 6 million. $ 4.5 million for other related costs, such as cranes and about 350 fire extinguishers located at every 15 meters of track. $ 1 million is the amount to buy insurance. 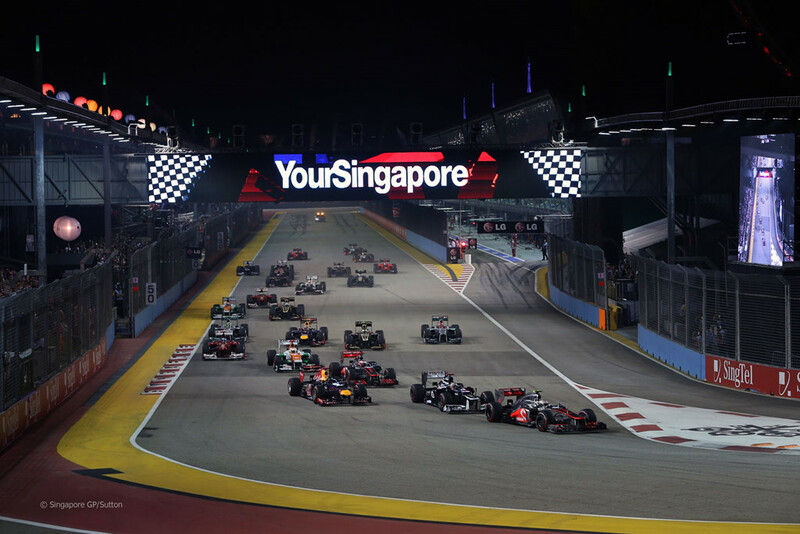 By the way, the annual operating cost of an F1 race on public roads is $ 57.5 million. Not to mention the hosting fee. The average cost of hosting an F1 race is about $ 30 million, which will increase by about 10% a year. Most of the contracts are for a 7-10 year F1 race. One way to reduce annual operating costs is to build a race track. The advantage is that the racetrack can be built where there is no vacant land, no need to relocate or build temporary facilities every year like street racing on the public. However, the construction of the racecourse costs a huge initial cost. The total cost of renovating a racetrack is available in the tens of millions of dollars, depending on the level. 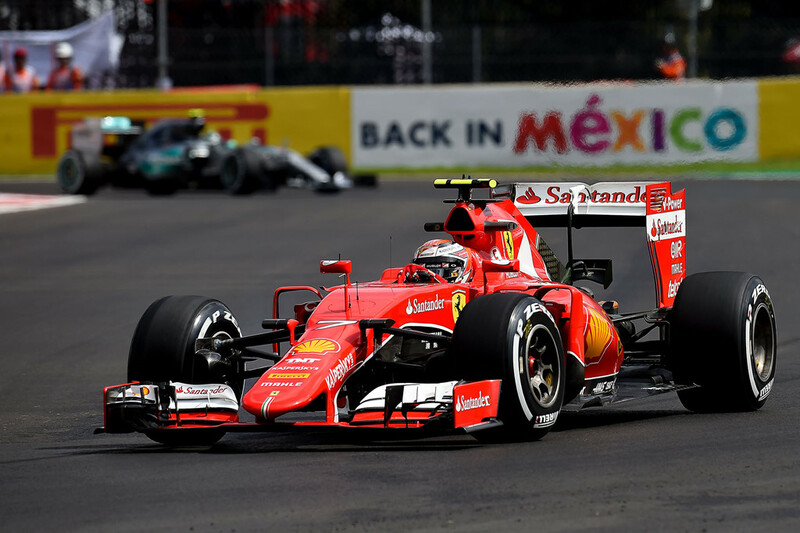 In November 2015, an F1 race held in Mexico returned after 23 years of absence. This race takes place on the Autodromo Hermanos Rodriguez track in the heart of the Mexican capital. This place has held an F1 race in the past. A total of 90,000 fans went to the race track on Friday, 111,000 on Saturday and 134,850 on Sunday. A total of 335,850 people. According to STR Global analysis, the room price around that increased 128.1% over the same period last year. The hotel and its surrounding services benefit from the city center race, so it's not necessary to build a completely new race track. Build a completely new racing arena that will allow you to make a difference in the race, corner or height. 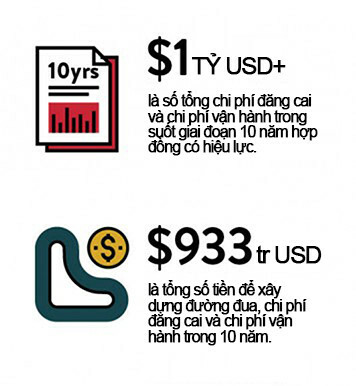 However, the cost is estimated at $ 270 million. But the annual operating cost is much lower than that of public street racing. 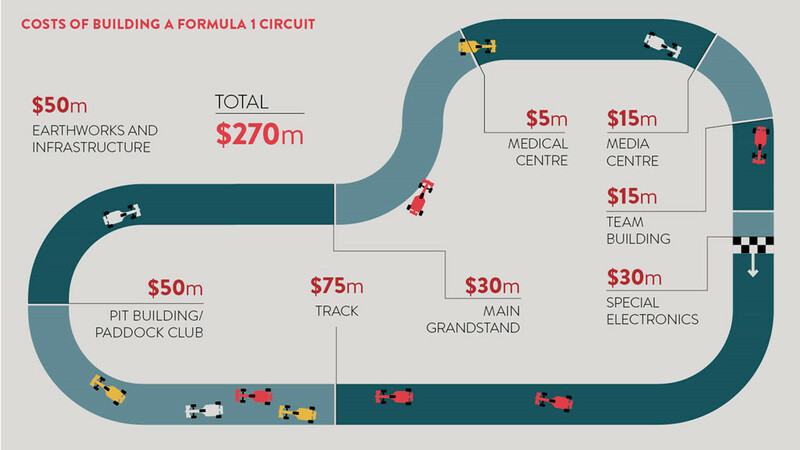 Formula Estimated, the total cost for 10 years of F1 racing in the race is $ 933 million. Ironically, spending money to organize an F1 race is only part of the overall picture. Country or host will have to count on promotion, how to sell tickets and promote the image of the country effectively. This is not a small challenge. 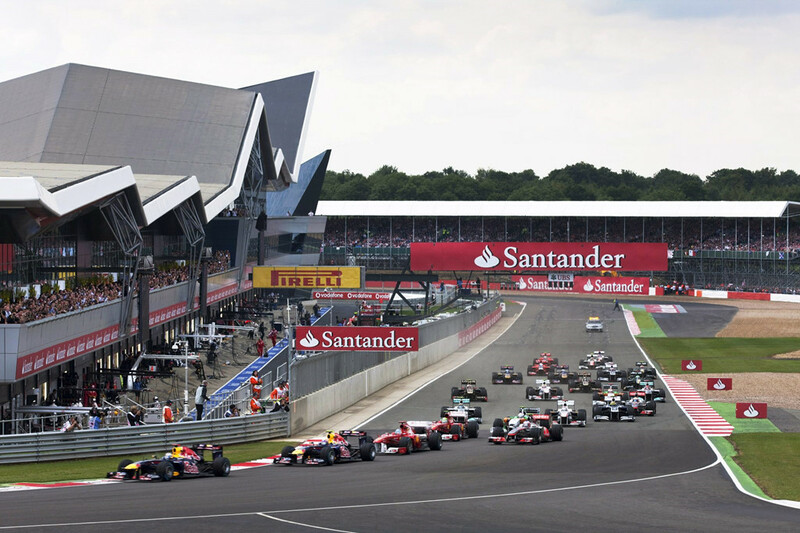 Silverstone, England was the first venue to hold the F1 race in 1950 with the largest audience in history. The track is owned by the British Racing Club, a group of 850 racing stars including Nigel Mansell, Damon Hill, Jenson Button and Lewis Hamilton. Well known, but in 2015, the club has calculated the sale of racing for the Jaguar Land Rover but failed. And over the years, the track has struggled to sell a long-term lease to reduce risk. The British Grand Prix is the only race in history that does not receive funding from the government. Therefore, they have to increase the annual ticket price to pay the hosting costs. Rental income from Silverstone has fallen, as 280 acres have been leased to a free rental unit. The cost of hosting F1 racing is "paid" by letter of credit from the bankers are the solution to the race continues to exist here.